"Advent" is defined as "the arrival of a notable person, thing, or event." The Christian church has entered into the season in which we celebrate the Advent of Jesus Christ. Many Christians have never celebrated Advent and are not even sure what it means. The following is a very brief introduction to Advent. 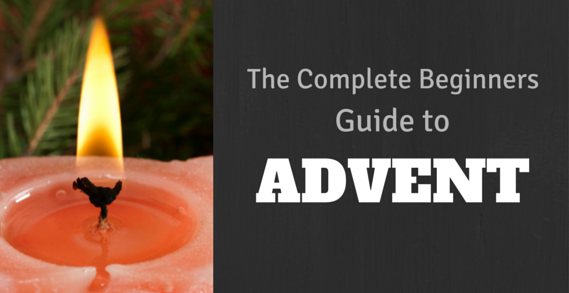 It is written specifically for those who want to understand the basics of this season. Christmas is a celebration of Christ's first arrival on earth. Advent reminds us that His first arrival was only a taste of what is yet to come. His second arrival will signal the fullness of time and the completion of His plan. All wrongs will be righted, death and sorrow will be banished and peace will rule the world. 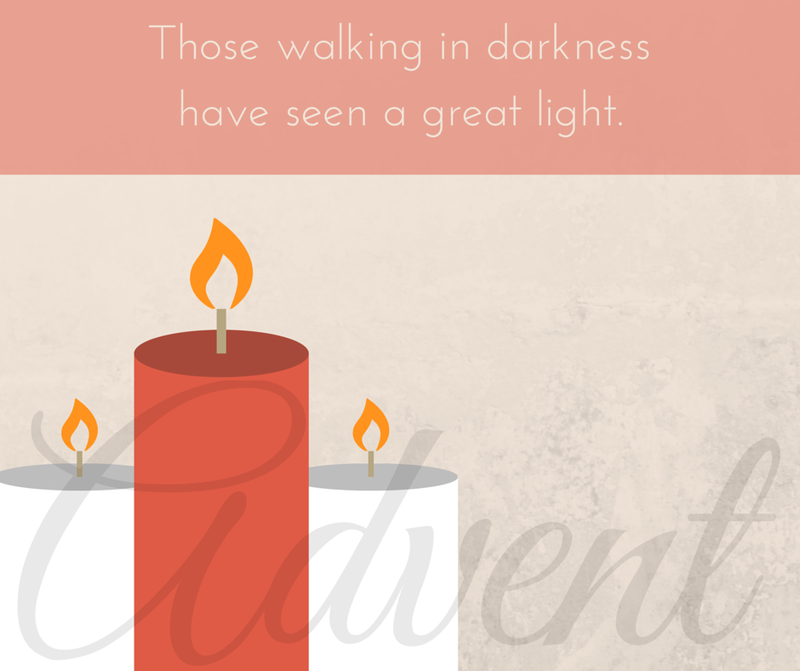 Advent is a time to recognize the darkness in which we still live, but to embrace the light that is breaking into our world and which will ultimately overtake and destroy the darkness. The advent wreath serves as the primary decoration throughout the season. The circular evergreen wreath may be natural or artificial. The circular shape of the Advent wreath reminds us of the nature of God. He is eternal and his love and mercy have no end. The green of the wreath symbolizes our hope of new life or rebirth. The wreath contains four candles. Usually three are purple or blue and one is pink. In the center of the wreath is a larger white candle, known as the "Christ candle." If you would like to create your own wreath, click here for a creative take on the traditional advent wreath. Of course, there is also a pinterest board with many ideas for making your own advent wreath. The five candles in the Advent wreath each carry their own symbolism. Different religious traditions assign slightly different meanings to each candle, but the general concepts are typically quite similar. The first candle represents Hope or Expectation. Prior to Jesus' first coming, His people were waiting for the Messiah. Today, we are waiting for His second Advent and the fullness of His kingdom. The second, third and fourth candles most commonly represent love, joy and peace. Some traditions also use these three candles to recreate the Christmas narrative. In those situations, the candles may represent angels, shepherds and wise men or annunciation, proclamation and fulfillment. The third candle is usually pink. It represents the joy of the season. Some traditions may reserve the pink candle for the fourth Sunday so that it is closer to the birth of the Christ child. The larger candle in the center is the Christ Candle. Traditionally it is lit on Christmas Eve or Christmas Day. The formal celebration of Advent centers around the lighting of the candles each week. As each candle is lit, we are reminded that the light ultimately conquers the darkness. As the darkness recedes, our hope for the new life promised by the Light of the World increases. Each Sunday during Advent, time during the church service is devoted to lighting a candle, reading Scripture, reading a short devotional and prayer. Each church may have its own tradition which dictates the precise Scriptures used or the readings which are selected. However the Advent celebration is designed, worshipers are reminded that our hope for the future coming of Christ is rooted in his first coming. Just as the center of the advent wreath is the Christ Candle, at the center of the Advent celebration is the Christ child. Many families celebrate Advent in their homes. They may use Advent calendars to count down the days to Christmas. They may engage in fun activities each morning or evening to remind the children of the true meaning of the season. Some families have their own wreaths and light the candles together while reading Scripture. You can find Advent readings for your family here.